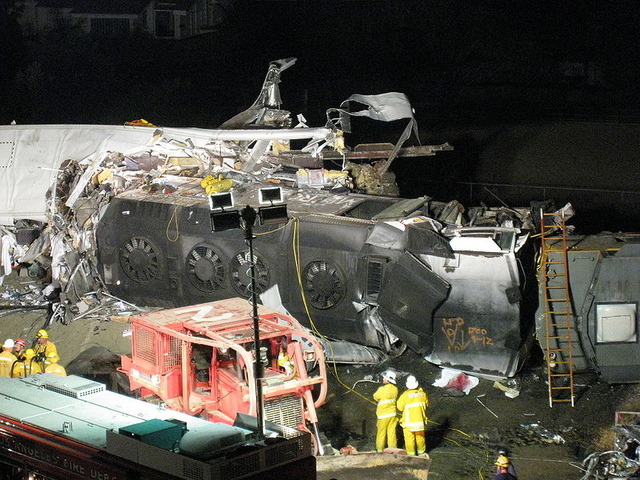 Could contested technology have prevented the Metro-North train disaster? This is an interesting article about the recent train crash. The article claims that the incident could have been avoided if the train had had a piece of equipment called Positive train control, or PTC. This device monitors the speed and location of trains to help prevent accidents and predict problems. This particular train would have never exceeded it’s speed limit, if it had the PTC. In this case, it sounds like the device was not installed because it is very expensive. But that begs the question, what price do you put on an accident like this. How much would you pay to prevent something like this from occurring. When it comes to automated systems that are designed for safety, I have always been very impressed. Yes, it’s possible that they can fail, but humans fail even more. And when these systems do fail, it’s often because of human error. I think these systems should be taken more seriously, and the money should be raised to get all trains equipped with devices that can potentially prevent disasters like this one. I look forward to a day when all transportation is automated! How about you? That was terrible accident, and their excuse also was terrible. In my opinion, even though the program is expensive, they have to have the program for preventing accident. Human’s life is more important than anything. I totally agree with your opinion which is these systems should be taken more seriously, and the money should be raised to get all trains equipped with devices that can potentially prevent disasters. I definitely agree with this argument. Human error is almost impossible to prevent and so people can’t solely depend on one individual to secure the lives of all the other people on the train. The money should definitely be raised to fund such a project since the costs of that investment may very well be less than the cost of the lives of those who may get harmed from such an accident. There was a similar situation with the army where they managed to create a full body suit that can prevent damage against gun fire, but since each suit would cost around $300,000 they didn’t think it would be worth investing in for a soldier’s life.